Desktop publishing projects completed in Adobe Indesign and Illustrator. 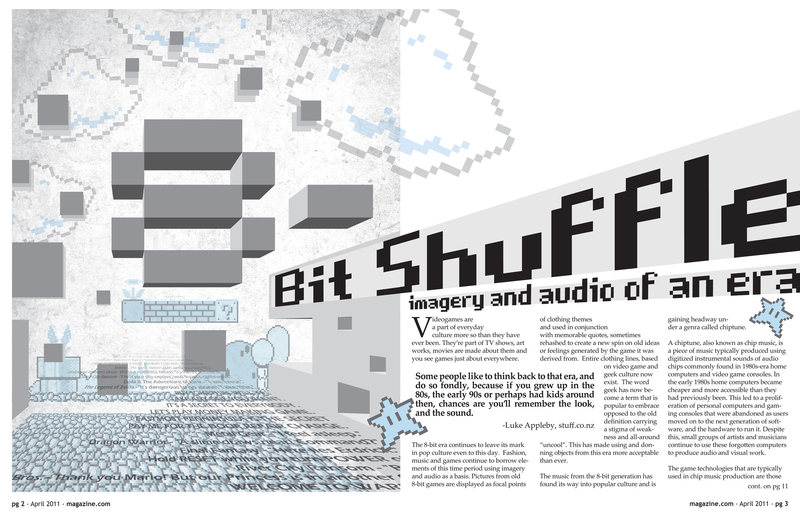 Two page magazine spread based on the culture of 8bit audio and video. 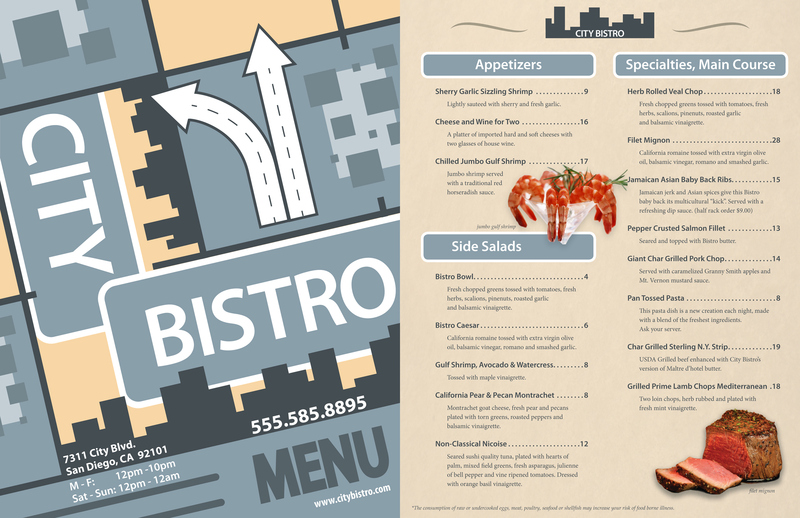 2 sided menu. Fonts used were chosen to closely match standard typefaces used for traffic control devices from the United States Federal Highway Administration. 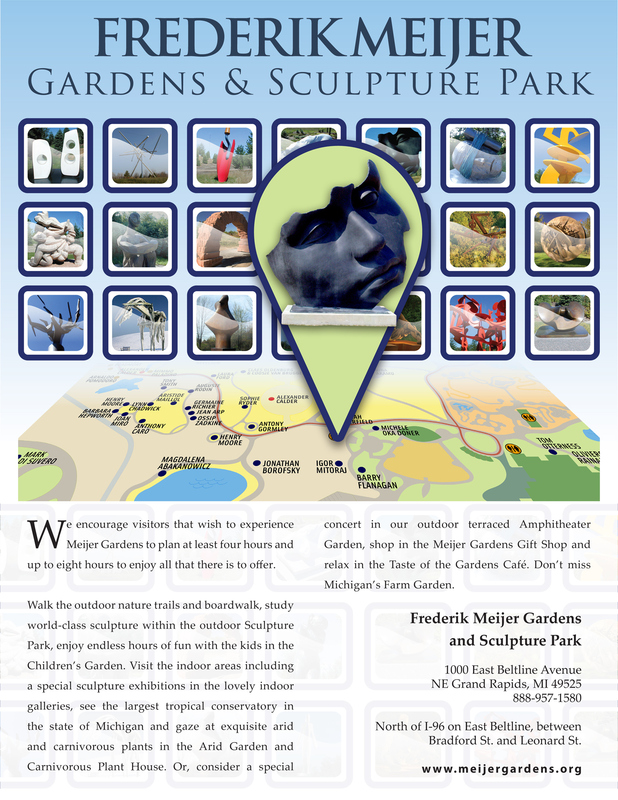 Icons represent park sculptures. Focal point used is Igo Mitoraj's "Light of the Moon".